“What is acupuncture?” and “How does it work?” seem to be the two main questions people have. Other ones are: “Can you help me?” “How long will it take?” and “How much will it cost?” Every case is different as regards cost and length of treatment and the possibility of helping the patient varies to the extent of the condition. It stands to reason. We’re not miracle workers but we can make a substantial positive difference to your life, even if your problems are deep seated. There’s no need to be scared of needles. 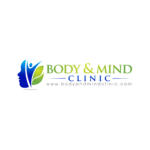 The professional acupuncture practice at Body and Mind Clinic assures your treatment will be effective and painless. Acupuncture has been at the core of traditional Chinese medicine (TCM) in treating a whole host of ailments for millennia. Common problems treated are arthritic conditions, migraines, stomach, neck and joint pains, depression, stress and hypertension, back and spine problems, dental soreness, diabetes, male sexual dysfunction, insomnia… the list is hugely consuming and more info on Body and Mind acupuncture services can be found on this website.